Spirent Communications has launched the GSS7000 series of multi-frequency, multi-GNSS RF constellation simulators. The GSS7000 series emulates all civil GNSS systems and regional augmentation systems, and allows devices to be tested under a multitude of operating environments and error conditions. 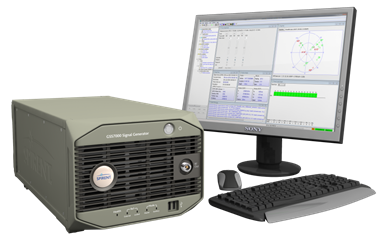 According to Spirent, the GSS7000 has the flexibility to reconfigure satellite constellations, channels and frequencies between test runs or test cases. Four software control variants are offered: SimTEST, SimREPLAY, SimREPLAYplus, and SimGEN. According to the company, the GSS7000 can simulate any combination of GPS/SBAS/QZSS, GLONASS, Galileo and BeiDou-2 signals, for testing all types of signals. 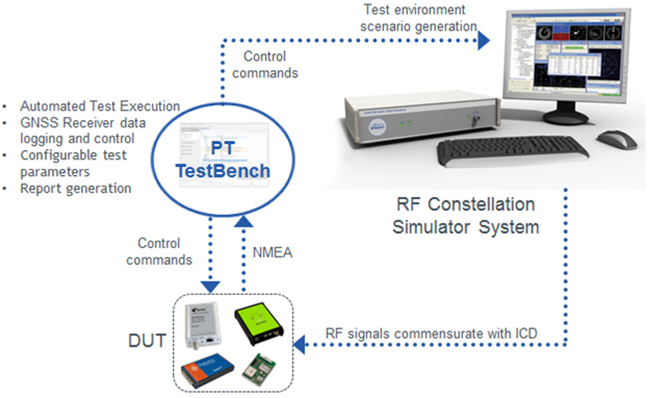 Up to 256 channels are supported across four frequency bands allowing simultaneous simulation of all GNSS systems plus additional channels to emulate rich multipath environments. The GSS7000 provides an entry to multi-frequency testing, with a modular approach to enable this new precision GNSS simulation system to expand with users’ needs. For existing Spirent customers, the GSS7000 has been designed to be backward compatible, enabling the re-use of existing test cases. The company says that the new simulator allows full in-field upgradeability to add constellations, channels, and other options such as interference generation and sensor simulation. For more information visit the Spirent website.